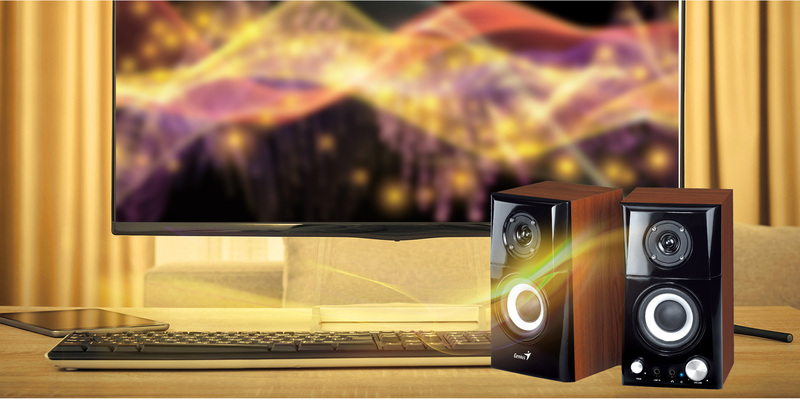 With total 14 watts RMS, the speaker is a loud home audio. With the powerful midrange and the ultra-high end tweeters, it delivers rich and warm sound. Burnished black surface and wood color, it will be a fine boutique beside your computer. Special Tone button is designed for timbre adjustment, also equipped with standard volume control and interfaces.